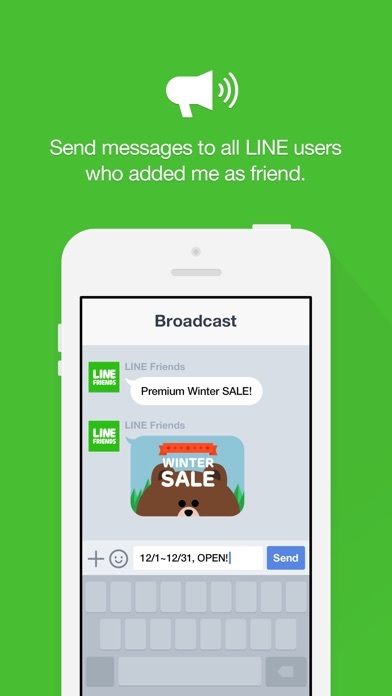 LINE@ lets you create business accounts to communicate with customers. 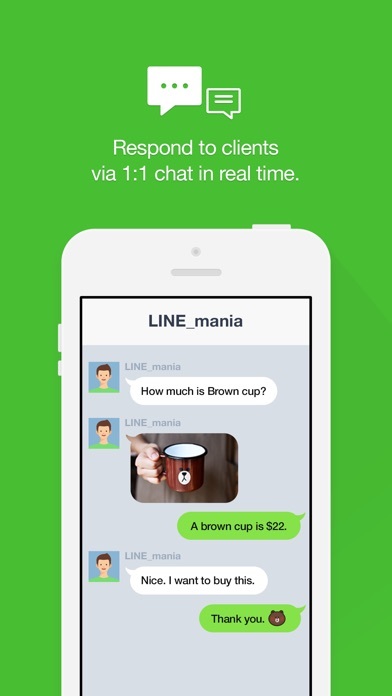 ◆LINE@ - Communicate with customers via broadcast messages, 1-on-1 chats, and Timeline posts. 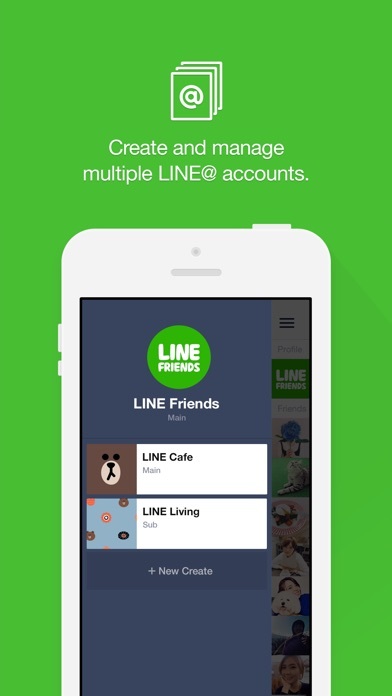 - Any LINE user can create an account for free. 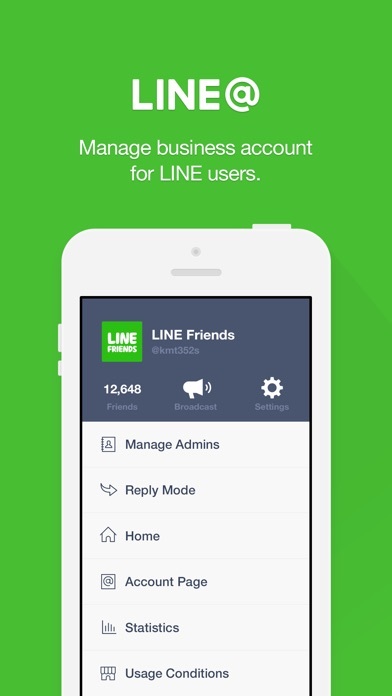 ◆Communication - Send messages to all LINE users who add your LINE@ account as a friend. - Use 1-on-1 chats with customers and set up auto replies when you're unavailable. - Post on the Timeline. - Promote detailed business info on your account page. ◆Other features - Specify sub-admins to help manage the account. - Get various statistics. * We recommend subscribing to a mobile data plan as data charges may occur through the use of the app when Wi-Fi is not available. 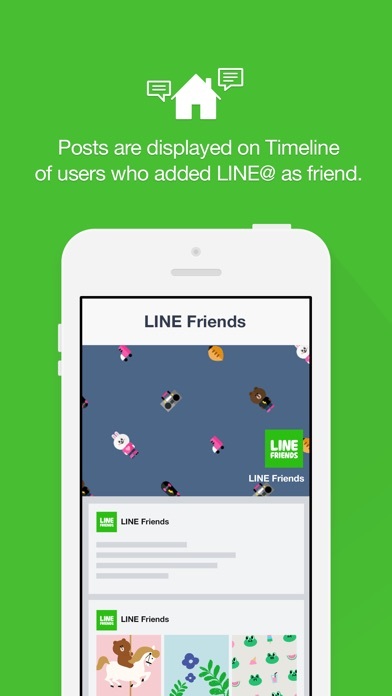 All my customers use LINE so this app is great for reaching them, but it lacks in features. More automation and better integration with other social media would be great. After I updated iOS 11.3 Line@ not working. I can’t open the app. Please check. I updated this app 1-2 days ago and it crashes instantly. Can’t access anything and I need to contact with my clients. I use iPhone 8Plus, so it’s a brand new phone. Fix it now!! Each time i open picture i encountered Line@shut down back me to home screen. both in chat, comment or broadcast which made me lost some data written for schedule broadcasting in the future. Please help fixing on this, it is a little irritated and took so much time reloading and rewrite status or sms again and again. Thank you. click on any image preview in chat page, the app will crash. After I updated to 1.6.5, all video and photos are unseeable and don’t have exit button. I had to kill the app and get in the app again. Please fix an issue. When you log in as the admin, all of your accounts created on the web interface are missing.